Service, Installation, Maintenance – We do it right the first time! 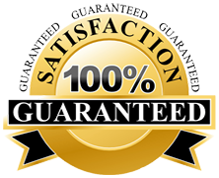 ASAP is a well recognized garage door service provider in Guttenberg, NJ. From new garage door installation, to opener, spring repair to regular maintenance – we can efficiently handle all your garage door needs with absolute precision. Garage doors require regular maintenance to help them keep operating smoothly in peak performance. But despite regular maintenance garage doors still demand extra services. At ASAP, we vouch for 100% customer satisfaction, it is for this reason that our professionals strive hard to deliver world-class service at highly competitive rates. We only deal with leading garage door products such that you have the confidence that doors and operators will be functioning properly for many years to come. We provide prompt, courteous service and maintain open communication with all our clients throughout the project. Our technicians have the required knowledge and expertise to deliver a service that is unsurpassed. We make every possible effort to accommodate your schedule. One call and our experts will be there at your place to carry out inspection and come up front with a free quote. We only charge what is required without involving any hidden charges. We’re the most reliable garage door repair services in Guttenberg, call ASAP garage door for a free quote at (201) 628-0104. For tips and suggestions on the maintenance of garage doors, feel free to write to us at asapgds@gmail.com. This entry was posted in Guttenberg on April 25, 2014 by admin.